Hi friends.... Happy Monday Madge here from Madge's Scrappin Lounge!! 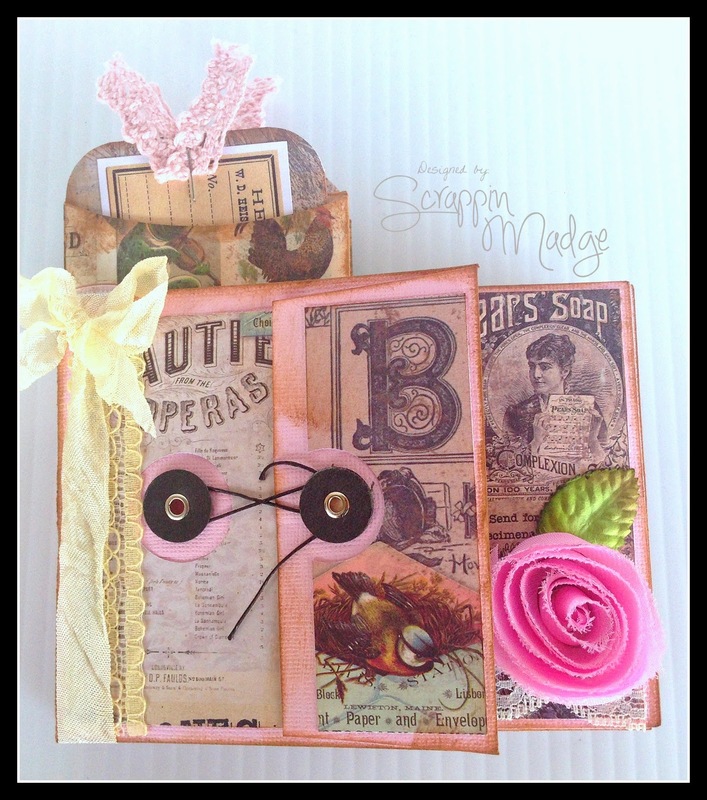 I am super excited to share with you this mini album that I made using some of my old envelopes that were in my stash. 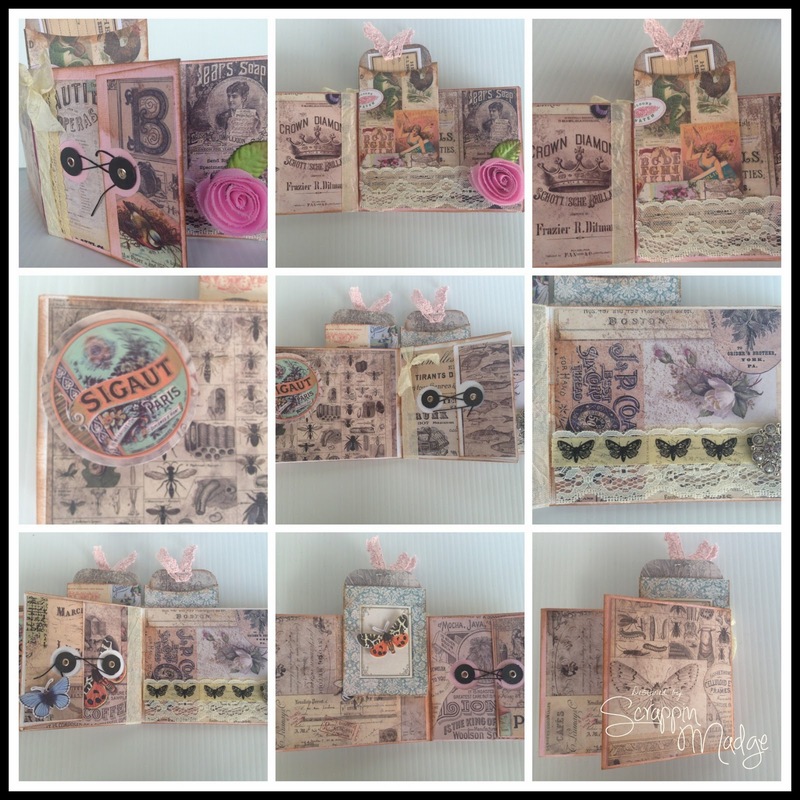 I folded them to create this fun mini album. I used distress ink, lace, ribbon, bling, washi tape and yes a great action wobble. And I made a collage of all of the pages that are in the mini album so there aren't so many pictures. I hope that you enjoy it! 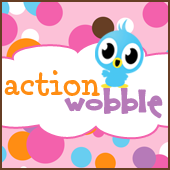 Can you see the action wobble?